The new BBE Stomp Board is a software plug-in suite designed to emulate the BBE range of guitar stompbox effect pedals and allow you to access them easily in your DAW. Available for both Mac and Windows systems, the BBE Stomp Board plug-in bundle comes in Audio Unit, AAX and VST plugin formats. 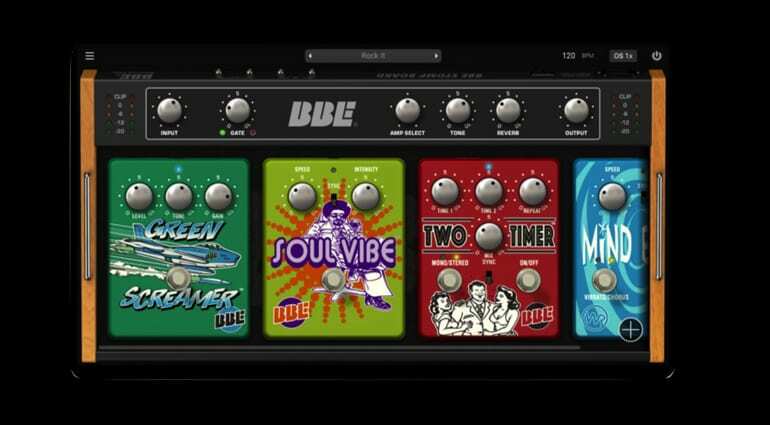 It has a really simple and friendly-looking user interface that emulates the look and control layout of some of the most popular BBE effect pedals including – Free Fuzz, Green Screamer, Mind Bender, Opto Stomp, Sonic Stomp, Soul Vibe, Tremor and Two Timer. 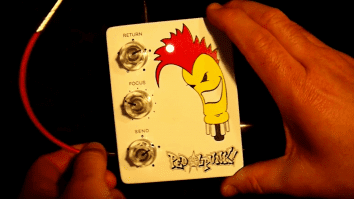 I like that you can also run it in standalone mode with four built-in amp simulations, a handy reverb, a built-in EQ and an onboard noise gate. So if you have an idea and don’t want to boot up your DAW, then you can get down to business quickly and easily, or you could use it live and forgo the overheads of using the DAW as well. You can download a trial version via the Plugivery website (link below). Give it a whirl and see what you think. 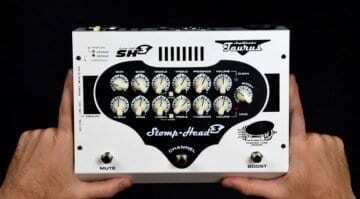 The price is pretty reasonable for a very decent set of branded guitar effects, I have had a chance to demo it myself and I like that they have a whole heap of decent built-in presets to get you going, these are listed under the headings of Clean, Crunch and Distorted. They get you in the ballpark for many quite famous guitar tones and I was surprised at quite how good they are. As I don’t own any of the original BBE pedals myself, I cannot say if they are perfect software emulations of them. 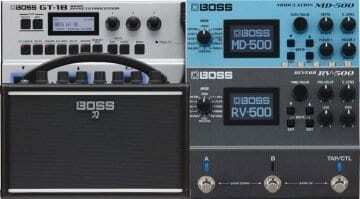 But I can imagine at this price though, it will be a lot cheaper than buying the original pedals individually. I was definitely impressed with the quality and can see myself using this bundle a lot in the future, especially for getting a good guitar sound quick and setting up tracks for recording sessions. I’m a big fan of ‘ease of use’ and this is where I found the BBE Stomp Board really excels.